Born in 1878 in La Capelle, France, Leo Dehon was born into a prosperous family whose holdings included rich farmland, prized livestock and thoroughbred race horses. His father envisioned a career in law or politics for his son. However, starting in high school, Leo’s vision for himself was much different than that of his father. Leo was a sophomore in high school when he felt an intense call during Midnight Mass to become a priest. He told his father that upon graduation he wanted to enroll in the seminary. But his father said no, and so Leo went to Paris to study law. In Paris, Leo explored the city’s culture and arts, and was active in his parish, where he attended daily Mass, taught religion to neighborhood children and, as a member of the St. Vincent de Paul Society, visited the poor and elderly. He followed his father’s wishes, but after five years in Paris, Leo’s dream of being a priest was still very much alive. His father thought that an extended trip would finally break Leo’s hold on his vocation and arranged for him and his college roommate to go on a nine-month tour through Greece and the Middle East. For two men in their early 20s, this proved to be the adventure of a lifetime. Bandits shot at them as they rode horseback through the Balkan mountains; all their clothes became infested with lice in Egypt and had to be burned; they sailed on a barge down the Nile and rode camels across the Sinai desert. But the trip also had a spiritual dimension. They spent two weeks in the Holy Land, where Leo followed in the footsteps of Jesus. And returning home by way of Rome, Leo had an audience with the pope, who affirmed him in his vocation. 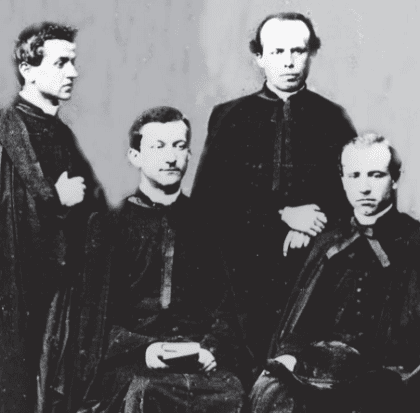 Finally, Leo’s father relented, and Leo entered the French Seminary in Rome. He would always call these his “golden years.” He excelled in his theological studies and also learned to meditate, a method of interior prayer that for the rest of his life would connect him to the living love of the Heart of Jesus. Leo became convinced that sharing this love would be the foundation of his life and could be the remedy for much of the world’s disorder and misery. His ordination to the priesthood was the fulfillment of a dream, with the additional joy of giving Communion to his father, who had returned to the faith. Armed with three more degrees – in philosophy, theology, and church law – Father Dehon returned to his home diocese. His bishop assigned him to a large urban parish in the blue-collar town of Saint-Quentin. Most of its 35,000 people were barely able to earn their daily bread. The majority were nominally Catholic, but few went to church. 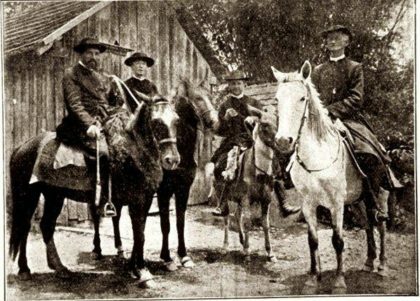 Father Dehon saw that the Church’s pastoral methods were out of sync with the times. He realized that it was not enough to simply celebrate Mass and administer the sacraments; the priest had to go to the people. Father Dehon began by organizing a youth group, which grew over a few years to more than 400 members. Always, Fr. Dehon was a kind, fatherly presence who consoled, cajoled, encouraged and inspired. Next he turned his attention to the young adults just entering the work world, offering them a safe haven from bars and street life. He taught them about their rights as workers, encouraged them to save and instructed them in the ideals of Christian marriage. He also kept business and civic leaders informed of these good works, soliciting their continued support as well as their cooperation in bettering the difficult working conditions of those in Saint-Quentin’s factories. Fr. Dehon with other stenographers at the first Vatican Council. At 33, Father Dehon found life smiling on him: his ministries were a success, he was esteemed by his bishop and he was welcome throughout the city. But he was not happy. The “busyness” of his public works left little time to deepen his personal relationship with the Lord. He considered joining a religious order but realized there was no one to carry on his ministries. His sympathetic bishop proposed a solution: Father Dehon could establish his own religious congregation if he would also establish a Catholic high school in the city. The bishop would get his high school, Father Dehon would be able to live as a religious and the new congregation would care for the ministries he had established. 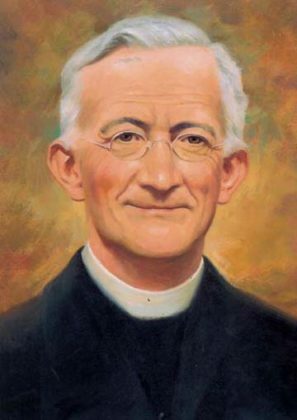 In July 1877, Father Dehon started the high school (St. John) and began a year of intense preparation for his new religious congregation. The following June he made his first vows. His congregation, modeled after the love of the Heart of Jesus, became the new means for Father Dehon to realize his dream of uniting himself to the love of God while sharing that love with others.